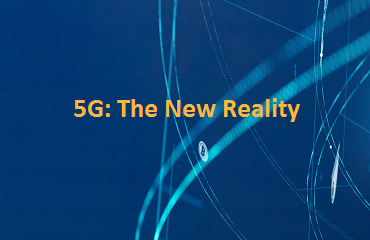 The good news: 5G will put the telecommunications industry in a position to market innovative end-user features and applications on a scale never before possible. The bad news: many customers are not convinced that these new features, and the prices they’ll extract, will be worth the wait – and the cost. A 2018 survey by PricewaterhouseCoopers found that about two-thirds of 1,000 home and mobile users would not be willing to pay higher monthly costs for the anticipated increase in speed that will come from 5G. As PwC points out, consumer attitudes will likely grow more favorable as awareness grows and more specific usability benefits become clear. But the survey’s response points to a major challenge for telecoms that are now investing large capital sums preparing for the next wave of wireless expansion. Moreover, the challenge is far from simple. The PwC study shows that, based on current attitudes of home and mobile consumers, the most important feature, even before speed, is reliability. In the eyes of today’s consumers 5G wireless brings promises of greater functionality, such as device portability for home Internet users and “true” unlimited data for mobile customers. But these promises will fall flat if reliability and related issues – such as coverage consistency – aren’t improved as well. Telecoms know that maintaining service reliability is a major challenge even in today’s world of growing customer numbers and faster new-product cycles. But the move to 5G infrastructure adds its own complexities as telecoms strive to bring harmony and virtualization to traditionally hardwired service layers. For instance, today’s telecoms are using virtualization techniques such as NSV(Network Services Virtualization) and SDN (Software Defined Networking) to separate logical and physical network components, and some are still working on harmonizing the efforts of their formerly separate OSS and BSS Operations and Business Support Systems) functions. Although 5G infrastructure rollouts will take place over several years, they will have to accommodate new complexities in technology, such as massive MIMO – multiple input and multiple output – and the millimeter wave equipment to handle higher-frequency applications. For the telecom, the challenge is not unlike trying to shuffle the earth’s tectonic plates without collapsing the houses above, because all this infrastructure work should be done without disrupting user services. It’s especially critical now, while user opinions are still forming about the value of 5G. What these telecoms need is ongoing, real-time visibility into customers and their interactions with network operations and infrastructure. This is important for two reasons: to head off reliability issues that may be caused by the changing service infrastructure, and to see effects of new features and application rollouts – which will be gaining momentum as 5G opens up new bandwidth – in time to take fast corrective action or even to address potential issues proactively. There are compelling reasons why telecoms should care about service reliability. For one, it costs more money to acquire a new customer than to retain an existing one. Consulting company Bain has reported that companies that excel in customer experience can grow revenue as much as eight percent above market. Another is enhanced customer loyalty. The Bain report also showed that superior customer service can turn customers into promoters with a lifetime value as much as 14 times that of detractors. 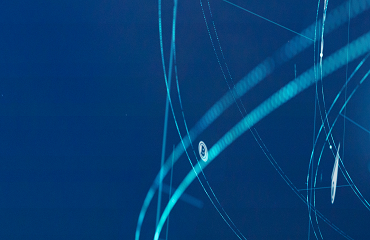 Tying customer experience into network operations is no simple task, which is why telecoms are investing not just in 5G infrastructure but also in real-time, cloud-based analytics that can build customer visibility into the daily operations of the network. Today’s network and element management systems generate plenty of alarms; often too many, in fact, to allow for human analysis. 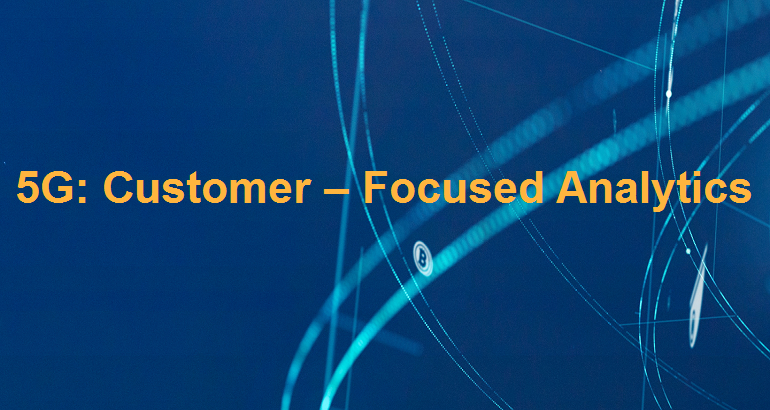 Real-time analytics systems quickly cut through the noise to prioritize the most critical alarms, and to reveal how complex network interactions may be affecting specific customer groups. They do this by ingesting streaming events from device log files, network telemetry scores and operations systems and then pulling in contextual information such as baseline KPIs, trend and behavioral analytics to identify problems. Real-time analytics also use machine-learning models to point out potential issues with change management and to find problems that may occur. As an example, an upgrade to a new operating system for certain devices might threaten incompatibility with a specific group of customers. The analytics would project which populations could be affected, and give the telecom time to send out proactive advice to those users. Customer visibility will be even more critical as 5G applications evolve and multiply. New use cases will open new markets, and telecoms will work to make the best use of high- and low-band operations to serve them cost effectively. Telecoms will have to think creatively to make the most of their 5G opportunities, and customer centric analytics will serve as a vital guide as they navigate to the future.